It’s just like travelling to Europe. In most locations, you can drink the tap water. In other locations, it’s best to be cautious. But foreigners usually just buy bottled water, because they are not used to the local water. But what about when you sit on the dental chair? Is your Mexico dentist using safe drinking water? Most Mexico dentists we’ve encountered use safe drinking water, not tap water, for your dental work. But, obviously, we can’t back our statement because we have not inspected every single dentist in Mexico outside our network. We can speak for the dentists in the Dayo Dental Network. Safety and infection control practices are the highest in our priority list during the screening process of dental practices in Mexico. Mexico dental clinics in the network have to adhere to strict guidelines provided by the ADA (American Dental Association). Water safety is a requirement to make sure you are in safe hands. As proper precaution, we don’t include dental practices that use tap water in your mouth. Here are the types of safe water used by dentists in the Dayo Dental Network. 1. Filtered (decontaminated) Drinking Water. This is the safe type of water you would buy and drink from the grocery store in bottled form. First, it’s filtered for hard minerals. Second, it undergoes a cleaning process to filter micro-organisms and contaminants. Third, it goes through UV light to deactivate any bacteria. Finally, it goes through carbon filtration to further remove metals such as mercury, bacteria, and other contaminants. This type of water is delivered to the dental facility by private water processing companies catering to dentists in Mexico. Dr. Carlos Rubio and team in Algodones uses filtered drinking water for non-surgical dental procedures. 2. Distilled Water. Distilled water is produced by boiling the water and then condensing it to remove impurities, including contaminants. It’s widely used in dentistry as safe water for dental chairs. 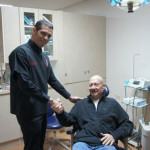 Dr. Jorge Carrasco and team in Cancun uses distilled water for their non-surgical dental work. Dental Surgery Water Safety: Make sure your dentist in Mexico is using sterile water during the surgical procedure. 1. Sterile Water Packs. This water comes in pre-packaged sterile packs. This type of water is necessary for surgeries, such as multiple extractions and dental implants. It is the same water your US periodontist or oral surgeon would use if you get an implant surgery locally. 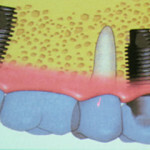 Getting dental implants in Mexico? Inquire to make sure your dentist is using sterile water before you get your dental surgery. Lastly, Dayo also checks the dental clinics for proper protocols regarding regularly cleaning the water lines, especially after a dental surgery. Water lines are flushed with special solutions to clean the lines regularly. This safety protocol is outlined by the ADA and CDC. 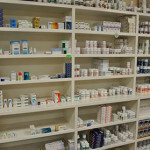 This is crucial for dental safety and infection control when you visit Mexico for dental care. We go to Mexico for our dental work. Our family members in the US also go to the Dayo Dental Network. Most importantly, we wouldn’t want to send you to a dental practice that we ourselves are not comfortable with, especially with the most basic aspect as the cleanliness of the water. So next time you visit a dentist in Mexico, it’s fair to ask, “What type of water do use?” Don’t be shy in asking, because it’s important. 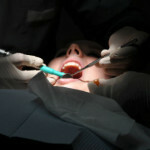 You want to be fully comfortable in the process before you start the dental work. 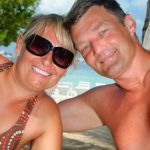 Do you have questions about Mexico dentistry? Share your concerns; we’ll do our best to answer them.